Jessica Biel and Justin Timberlake may be one of Hollywood’s most reclusive couples, but all that changed at New York Fashion Week last night. 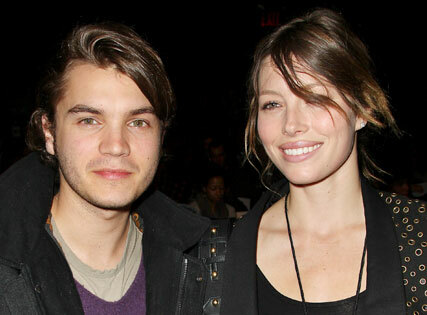 With Justin showing his William Rast collection for the first time in Bryant Park, Jess was out to support her man, taking a front row seat alongside Into the Wild actor Emile Hirsch. And although the couple are rarely photographed together, they later sparked a flashbulb frenzy as they left the venue arm-in-arm, flashing smiles for the waiting cameras. All in the name of publicity perhaps, but it certainly got NY’s fashionistas talking. But JT needn’t have worried about publicity, with a tent full of celebrity friends. Gerard Butler, Solange Knowles, Hilton sisters Nicky and Paris and Justin’s former bandmate, J.C. Chasez all added to the star-studded front row. Timberlake started the William Rast label back in 2006,with friend Trace Ayala and designer Johan Lindeberg. The label has previously shown in NY, but this is the first season that it has moved to the official venue.